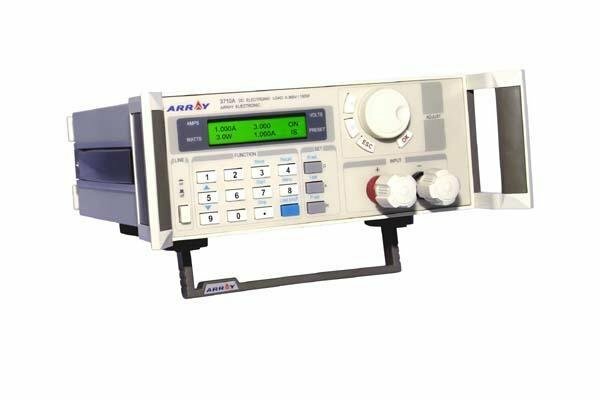 The Array 3711A series is a single input programmable DC electronic load that is capable of outputing up to 300 Watts of power. It provides a convenient way of testing batteries, DC power supplies and more. The 3711A offers constant current mode, constant resistance mode and constant power modes. The backlight LCD, numerical keypad and rotary knob make it easy to set maximum voltage, current and power settings. Up to ten voltage/current parameters can be stored in memory for instant recall. 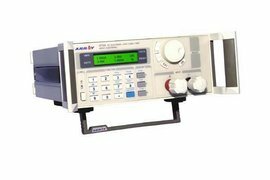 The 3711A DC electronic programmable load is an essential instrument for Research and Development, test and manufacturing sectors.